For anyone interested in understanding the course our Mother Nature, the Natural History Museum (NHM) is the place to visit even if you have little time in London. It is located a 5-minute walk from the South Kensington tube station within the city centre (direction). NHM is located side by side with the Science Museum, the Victoria and Albert Museum and the Headquarters of the Royal Geographic Society (RGS) – so it’s even a better place for your one-stop museum visits. Admission is free and be prepared for security check for bags. Permanent exhibition were divided into different zones by colour. Obviously, NHM collection included various body parts of mammals, birds, insects and plants that you could observe closely and geek out the knowledge of species diversity in you! Opened in 1881, the Central Hall itself is magnificence in the sculptures and paintings of many animals and plants, real worth to take a close look one by one! Apart from the Darwin Centre that I am going to talk about, do consider to visit their mammal collections in the Blue Zone. Mammals are, after all, our closest relatives by DNA and pretty magnificent to look at, such as the cover photo of this post. Meanwhile, look at the sculptures and paintings of plants and animals at the Central Hall, these are evidence of how we understand non-human creatures way back some 130 years ago when this was built! In the Darwin Centre, there are touch screens in explaining how expeditions were prepared for collecting species in remote areas, pretty much the same way on how we do it in real! My Pro Guide recommendation is to visit the Darwin Centre to learn the cutting knowledge of biodiversity research by NHM. From the centre, you will visit the 7-story building, the Cocoon for an interactive tour on how species were discovered, preserved and curated by the museum staffs. Furthermore, how scientific discoveries were made in explaining the existence of these species in the course of natural history and how the present challenge of habitat lost and the accumulation of global green house gases would affect the biodiversity of this planet (e.g. mass extinction). The NaturePlus card is for you to scan and save interesting content to read on later, a very handy way for time saving! 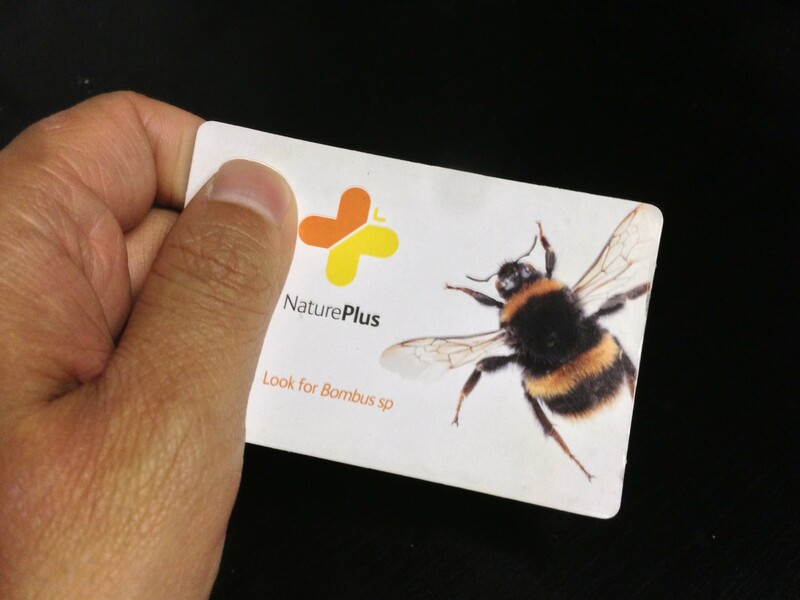 Don’t forget to grab a NaturePlus Card once you are there, it is a paper card with barcode that could be scanned to save interesting content for reading from their website, comes in pretty handy for time saving! Apart from the Cocoon, do spend time at the Attenborough Studio where you could watch selected films and attend various talks. 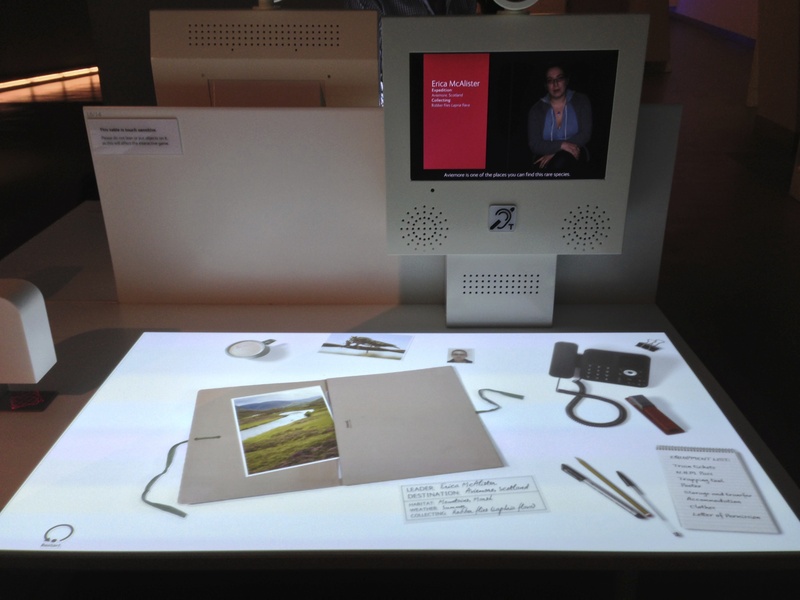 I particularly enjoyed the interactive film – Who Do You Think You Really Are? Narrated by one of the most famous nature broadcaster, Sir David Attenborough (wikipedia), the 50-minute film takes us a journey to the rise of the human origin and how different we are with other species- even if we all share the basic building blocks of life, ie, DNA. You will be able to use the provided handset to experience dinosaurs walking around by augmented reality, instant polling on traditional beliefs if they are true and even taking pictures of yourselves during the film. Pretty cool, highly recommended! 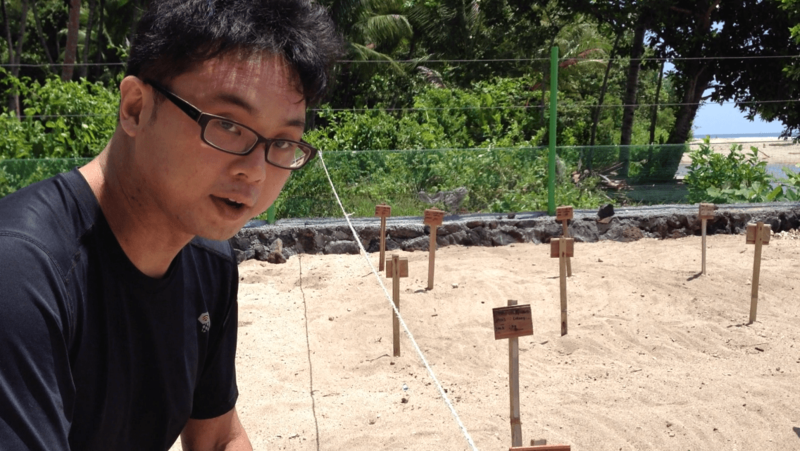 As a Pro in Natural Science, you should also take the Spirit Collection Tour. This is a guided tour to some of the species that are preserved in alcohol or other liquid preservatives in the basement of the Darwin Centre. I find this tour particularly interesting because of a chance to visit behind the scene and a chance to have a close look on some of the most fascinating preserved bodies, such as… well, better keep this for another time cos it can be very distributing too! But all I could say is, I am especially touched to be able to see some of the collection that was actually documented by Charles Darwin himself! Seeing his hand writing and the year he scribbled on the specimen labels is really something to me! Apart from that, there is a 8.6m long giant squid displayed in the basement, pretty magnificent and rare. The Spirit Collection Tour needed to be booked from the information desk on the day you visit. As of writing, the guided tour is temporary suspended due to the hot weather and you can check further availably here. 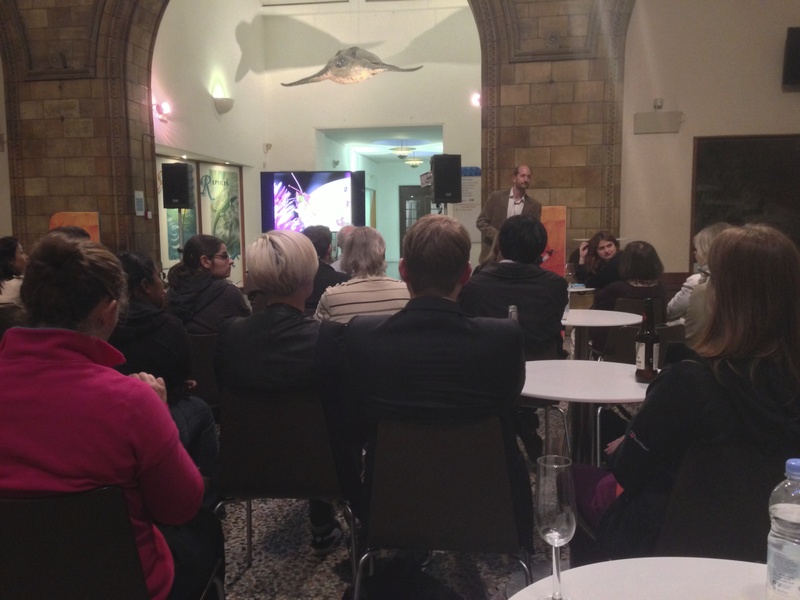 A) Wallace 100 and other talks: The NHM itself host various talks throughout the year and they are free. You can check all of these events here. These talks are usually free and starts around 1600 in my experience. B) Night Safari with MasterCard: These are after hours (1900-2200) that visitors could attend talks by museum staffs about various natural history of topics with a glass of wine in the museum! As the staffs are experts in their own field of studies, you would be able to ask questions with direct answers on what are the scientific challenges or breakthroughs that they are having their hands on. In layman terms, it is like Uni all over again but with casual chats and drinks with your professors, no exams required! C) Dino Snores: Frankly, I haven’t tried this, but the idea of sleeping in the main hall of NHM with Dippy, the museum mascot, would truly be an amazing experience for a big fan like me! They have adults and kids sleepover in almost every month and tickets would snapped up pretty fast, so book soonest the possible! Dino Snores starts at 1930 and ends at 0930 the next day. During your time there they will be severing 3 meals and having loads of things to do, like quiz, live music, films, bug tasting etc. I think might as well stay up all night not to waste such an opportunity! 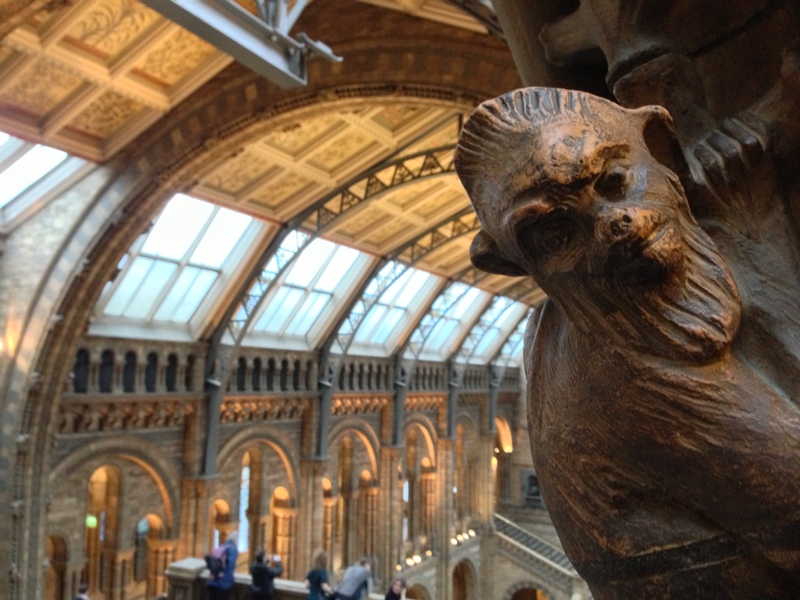 Ticket is £175 per person, with discount for NHM membership and for more information please follow this link: http://goo.gl/YgIZRz. D) Evolve, the Magazine: The NHM official magazine, Evolve is the ultimate NHM that you could flip at home! Evolve publish quarterly and if you are a NHM member you already receive this magazine for free! For the rest of us, you can buy from their online store and the book shop in the museum. It would cost you £4 per issue and subscription is £15 for 4 issues. The magazine feature some very hot topics and trends in natural history, such as these days would be the 100th anniversary of Alfred R. Wallace and some other discussions about the latest research and expeditions by NHM staffs. I am of course looking forward for them to evoled into digital version soon. Seriously, it is time for that already really! Attenborough StudioDarwin CentreDavid AttenboroughDino SnoresEvolveNatural History MuseumNaturePlusNaturePlus CardNHMNight Safari with MasterCardSouth KensingtonSpirit Collection TourWallace 100Who Do You Think You Really Are? MacLehose Trail for City Hikers <- polished content, Get it On the iBook store today!